If you think you don't know who Blaze Foley is, you'll certainly know his work with songs such as Let Me Ride in Your Big Cadillac if you watched the Preacher series on Amazon Prime. Blaze stars newcomer Ben Dickey as Blaze Foley, the unsung songwriting legend of the Texas outlaw music movement that spawned the likes of Merle Haggard and Willie Nelson. The film weaves together three different periods of time, braiding re-imagined versions of Blaze’s past, present and future. The different strands explore his love affair with Sybil Rosen (Alia Shawkat); his last, dark night on earth; and the impact of his songs and his death had on his fans, friends, and foes. The storyline terminates in a bittersweet ending that acknowledges Blaze’s profound highs and lows, as well as the impressions he made on the people who shared his journey. 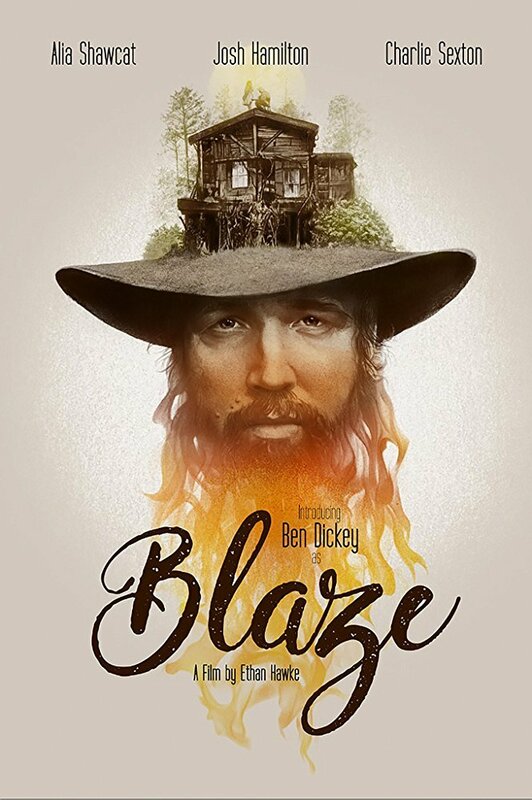 Blaze premiered at the 2018 Sundance Film Festival where Dickey’s performance won him the Special Jury Award for Achievement in Acting. Dickey stars alongside Alia Shawkat, Charlie Sexton, Josh Hamilton, Richard Linklater, Alynda Segarra, Sam Rockwell, Steve Zahn and Kris Kristofferson. Co-written by Hawke and Sybil Rosen, Blaze is based on Rosen’s memoir Living in the Woods in a Tree: Remembering Blaze Foley.